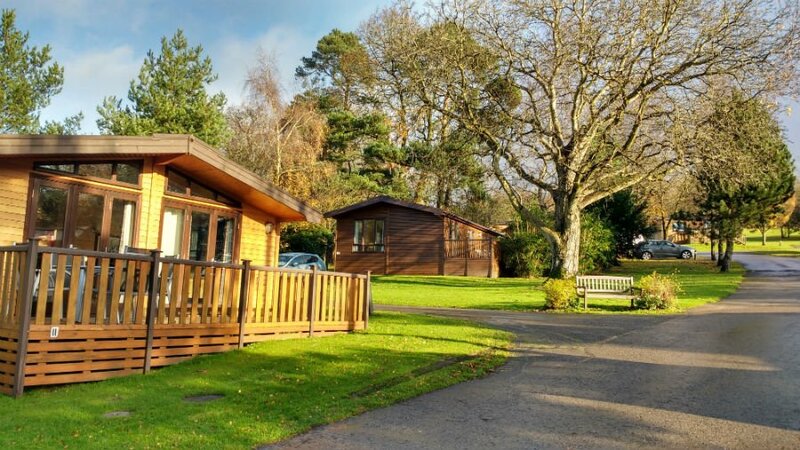 Sandybrook Country Park is an award winning 5* holiday park on the edge of the Peak District. It has a wide range of luxury lodges (some with hot tubs! ), in a peaceful setting just outside the market town of Ashbourne in the Derbyshire Dales. Sandybrook is a small and friendly holiday park, with an indoor swimming pool, toddler play area, outdoor playground and woodland walk. As well as having luxury lodges and excellent facilities for families with young children, it is also in an ideal location for visiting toddler friendly attractions like CBeebies Land at Alton Towers. 52 luxury lodges – some with hot tubs and some which are pet friendly. Swimming pool, toddler soft play, and playground and activities onsite. 25 minutes from CBeebies Land at Alton Towers. 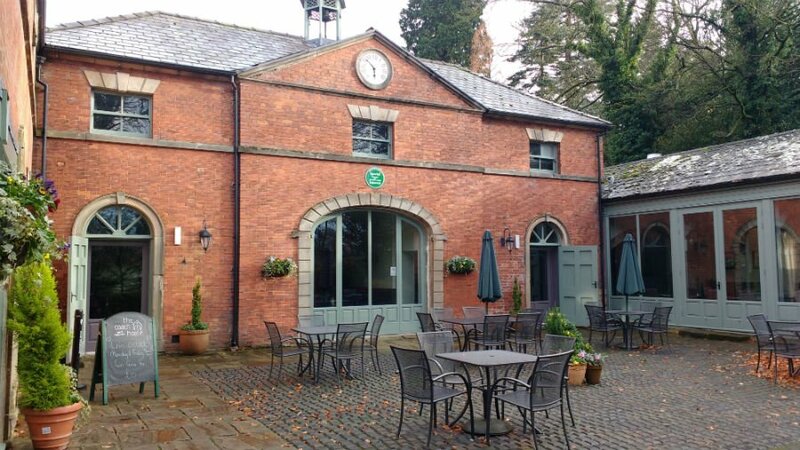 Sandybrook Country Park is located 1 mile out of Ashbourne in the Southern Peak District. Contrary to its name, there is no Peak in the Peak District but the national park is characterized by lush green hills, stately homes, wild moorland and spa towns. Sandybook Country Park is a great location to explore the whole Peak District. 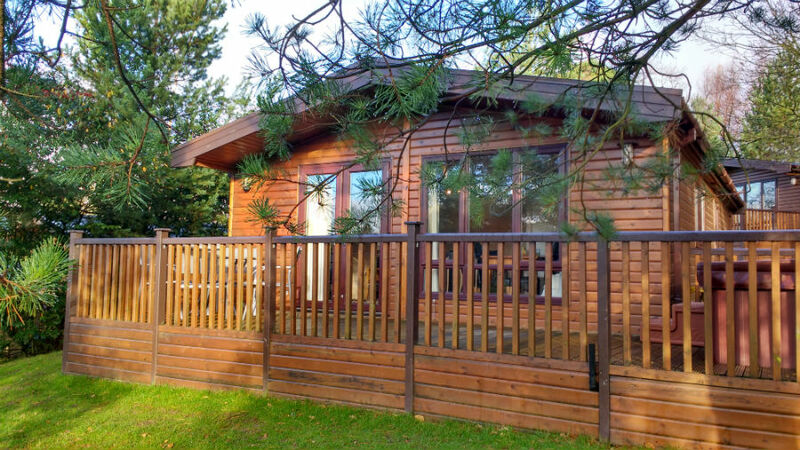 There are 52 luxury lodges at Sandybrook Country Park. Some have hot tubs, and all of them are spacious, light and airy with wooden floors, comfy beds and plenty of mod cons. 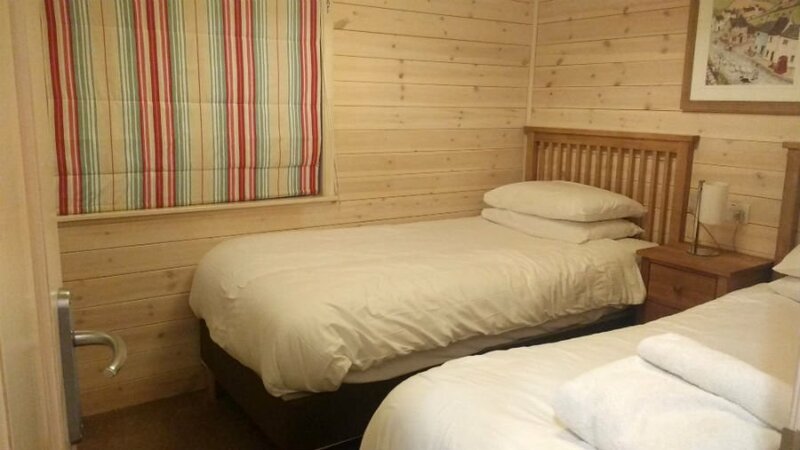 2 bedroom lodges have 1 master bedroom, 1 twin bedroom and a family bathroom with a bath and overhead shower. 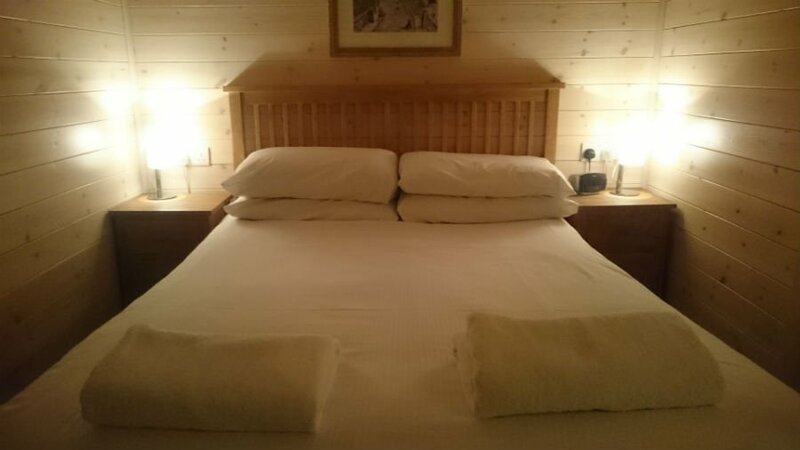 Fluffy towels and quality bed linen is provided. In the living area, there is a large dining table for family meals, flat screen TV with Freeview (inc CBeebies! ), DVD and CD player. 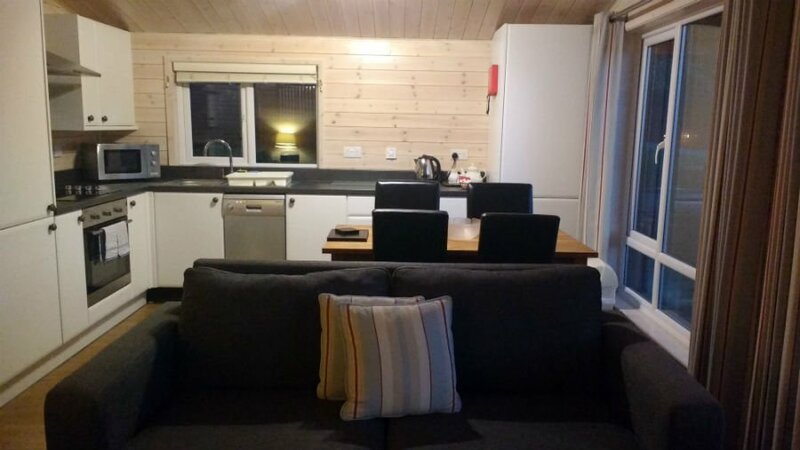 The kitchen is fully equipped with a cooker, microwave, large fridge freezer and dishwasher. 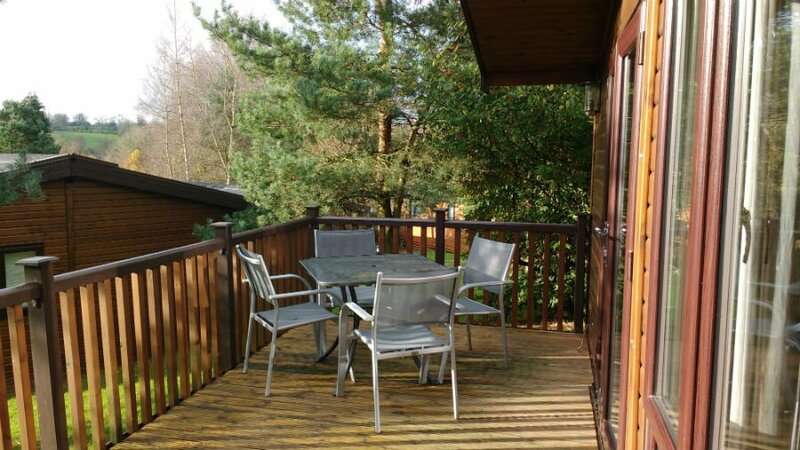 All of the lodges have large verandas with table and chairs, with views of the surrounding countryside. BBQs can be borrowed from Reception. For the ultimate in luxury, you can stay in a Spa lodge with its own private hot tub. This is a perfect treat for tired parents needing a bit of relaxation and pampering after their little one has gone to bed. A guaranteed toddler pleaser is the promise of a splash in the swimming pool. 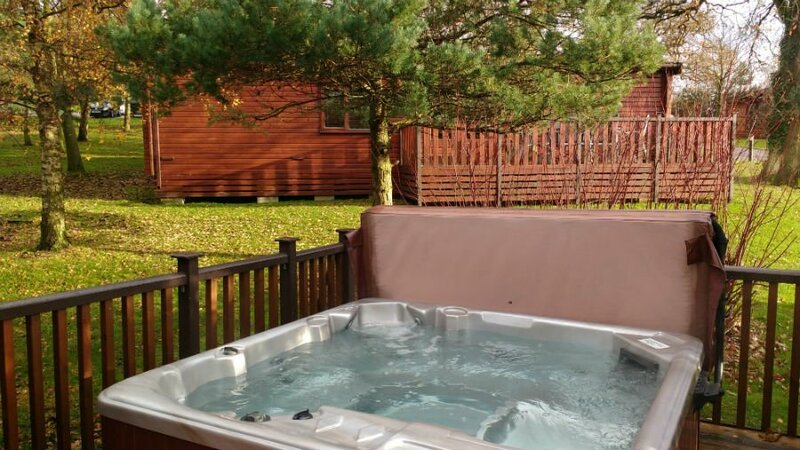 Just a 5-minute walk from most lodges, is the Sandybrook swimming pool complete with toddler swimming pool, jacuzzi and sauna. Another guaranteed brownie point earner is an onsite toddler soft play area. 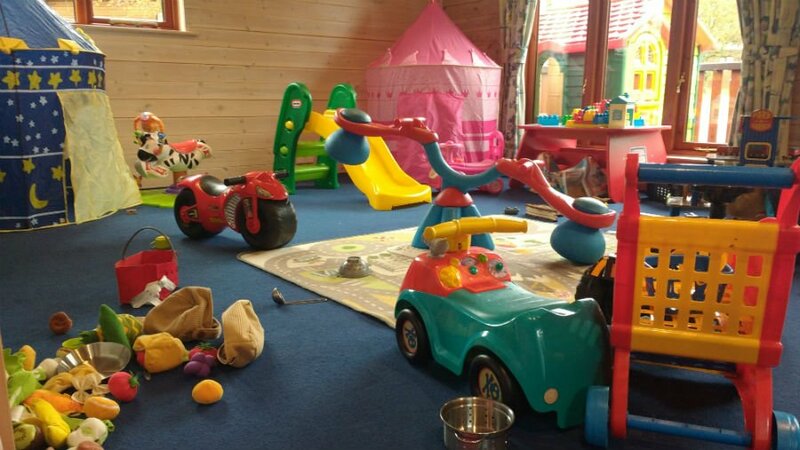 The toddler play area at Sandybrook Country Park includes a kitchen, ride on toys, garage, tent, mini slide and shopping trolley. Plus, there is a settee and TV for parents to relax on. 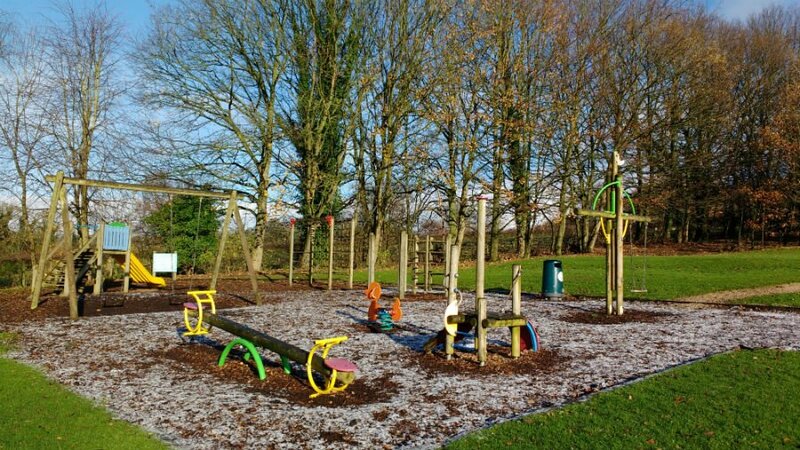 The outdoor play area at Sandybrook Country Park is located next to the large recreational field which is perfect for ball games. The playground itself has swings, slides, see saws and a climbing frame. 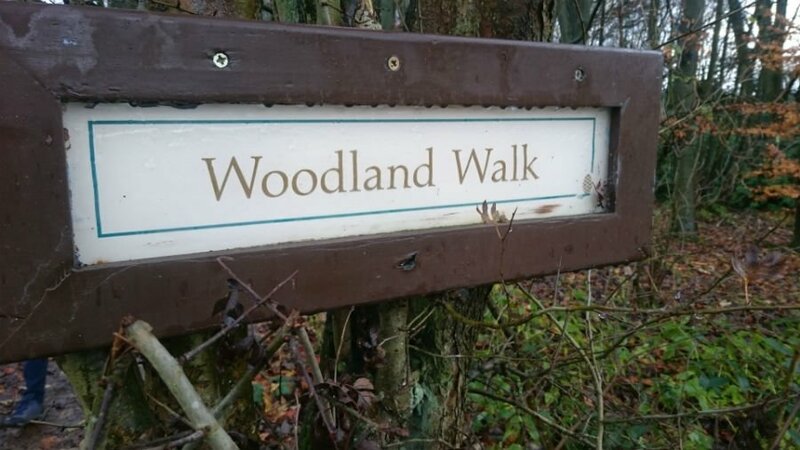 There is a small wood at Sandybrook which is carpeted with bluebells during the Springtime. During the rest of the year, it is a great place for a little woodland play and den building. Sandybrook Country Park has a wide range of activities for families. Go Junior are activities designed for 3 – 7 year olds, and include things like Football, Balanceability, Junior fencing and Pirates and Princesses. Activities last for 1 hour and cost £5 per child. The 9-hole mini golf course is lots of fun, and gives toddlers a good opportunity to try and get a hole in one. For families who fancy a night off the cooking, the Coach House restaurant is 5-minute walk from the lodges. There is a good Children’s Menu with freshly cooked food, and a range of family favourites on the standard menu. A pizza takeaway service is also available. Just 25 minutes away from Sandybrook Country Park is a toddler’s dream day out at CBeebies Land. Toddlers can go on the In The Night Garden magical boat ride, deliver letters with Postman Pat or see the Furchester Hotel Live. New for 2017 is the Go Jetters Vroomster Zoom Ride. 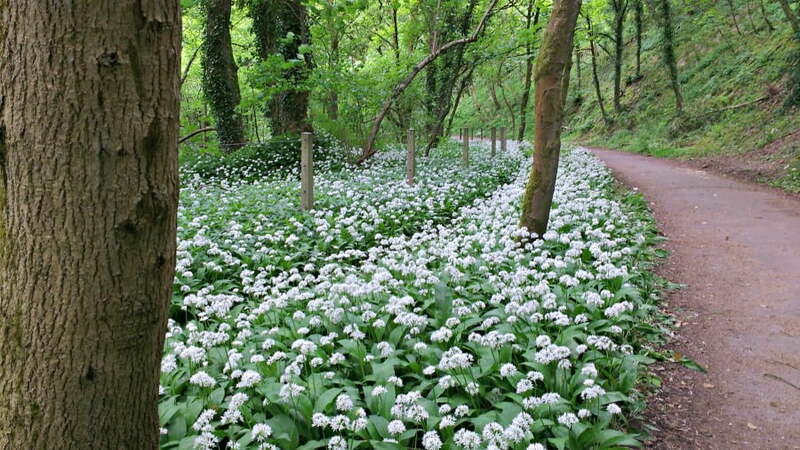 Just 5 minutes’ drive from Sandybrook is the Tissington Trail. The Tissington Trail was originally the route of the Buxton to Ashbourne railway line which opened in 1899. In its heyday, it carried high speed trains from Manchester to London, but now it is used by cyclists, walkers and horse riders to traverse the Derbyshire Dales. The Tissington Trail is traffic free and is the perfect place to explore the Peak District on 2 wheels. Bikes can be hired at Ashbourne. Top Tip – Don’t miss Herbert’s Tea Room in Tissington for a coffee and cake stop. 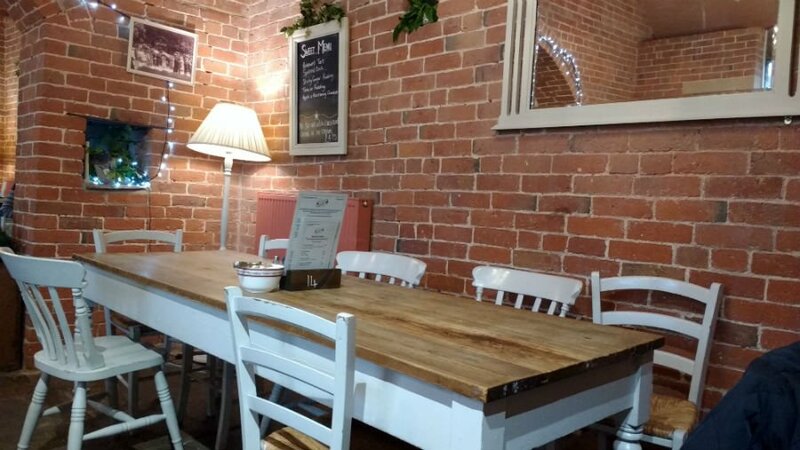 Herbert’s has quirky décor, vintage crockery and amazing cakes and scones – and it is family friendly too. 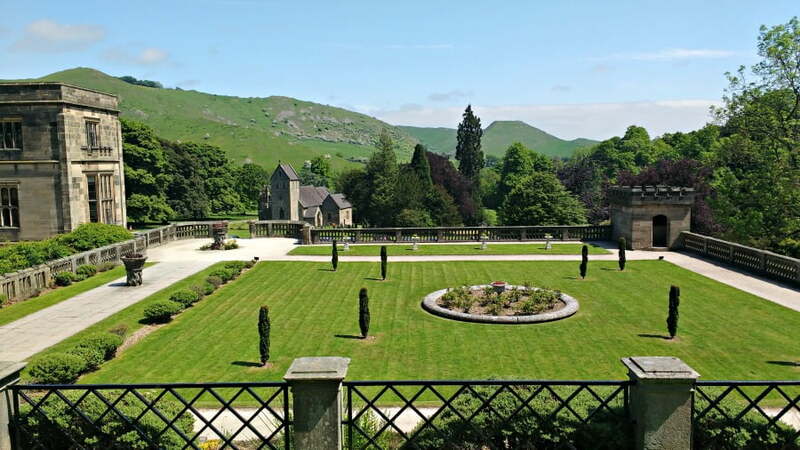 A few miles from Sandybrook Country Park is Ilam Park, which is owned by the National Trust. This is a lovely spot with riverside walks, views of Dovedale peak and the perfect bridge to play pooh sticks. Check the National Trust website for details of family friendly activities which take place throughout the year. 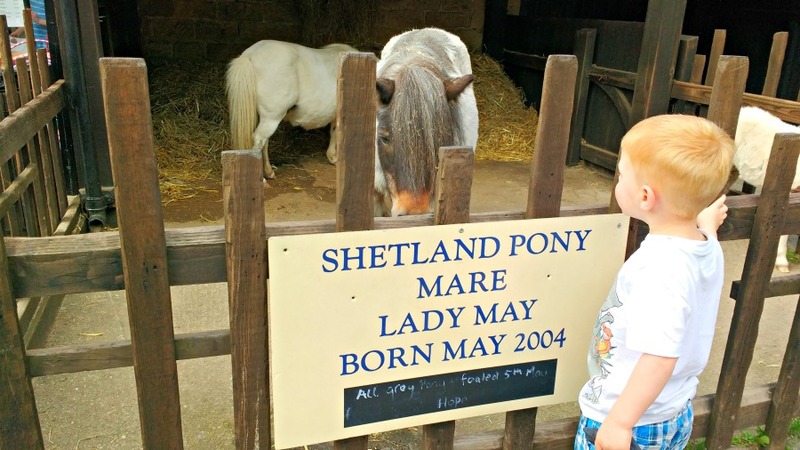 Toddlers will love the Farmyard on the Chatsworth Estate. There are pigs, donkeys, chicks, sheep and goats, plus various interactive demonstrations throughout the day. There is also a Guinea Pig village where toddlers can hold some of the guinea pigs. But the highlight of the Farmyard is the amazing adventure playground which is included in entry price. This massive play area has areas for children of all ages, including a separate area for toddlers, and a large sand and water play area. The Crich Tramway Village is the home to the National Tramway Museum. 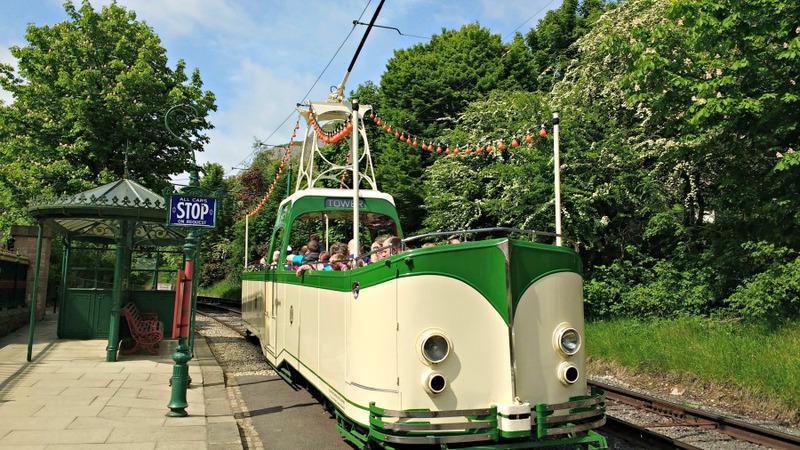 Here, you can spend the day hopping on and off vintage trams travelling along a mile long stretch of track through the Derbyshire countryside. It is a dream day out for transport loving babies and toddlers. Cots, highchairs, bed guards, veranda gates, socket protectors are available to borrow with a deposit.